SSA thanks and congratulates Senator Thad Cochran (R-MS), powerful Chairman of the Senate Appropriations Committee, for once again championing the best interests of the domestic shrimp industry by including a provision in his FY 2018 Appropriations bill to ensure that the federal Seafood Import Monitoring Program (SIMP) will cover all shrimp imports. 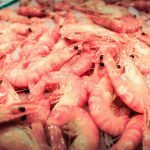 This provision was also shepherded by the Appropriations Subcommittee Chairman Richard Shelby (R-AL); also a very longtime and tireless champion of the Gulf shrimp industry. The SIMP program is specifically designed to require importers of record to provide to the U.S. government, and keep records of, data documenting that seafood imports were lawfully produced, and that the integrity of each shipment is maintained by each entity throughout the chain of custody until entered into U.S. commerce. Adopted in December 2016, the program is due to go into effect in January 2018. SSA has worked extensively in support of the development and implementation of this program since 2014 when it was identified as part of the President’s Task Force on Combating Illegal, Unreported, and Unregulated Fishing and Seafood Fraud. However, under the previous Administration an administrative stay was placed on the application of the SIMP program to all shrimp imports in fear that major shrimp exporting nations such as China would retaliate through a challenge under the World Trade Organization (WTO). Since then, SSA has been working continuously with Congress and the Trump Administration in cooperation with the American Shrimp Processors Association and other stakeholders to have this stay lifted. This legislation reflects a major step forward in this effort. “We cannot thank Senators Cochran and Shelby enough for their extraordinary efforts to ensure the survival of the domestic shrimp fishery in the face of what has been an endless stream of illegal shrimp imports. The scale and scope of fraud associated with the $5 billion per year shrimp import supply chain transcends that of any other seafood import. It is absolutely essential to the survival of our industry for this program to be in place next year to combat the onslaught of illegal imports”, said SSA Executive Director, John Williams. The legislation comes on the heels of another major initiative by a contingent of U.S. “shrimp State” Senators to urge Commerce Secretary Wilbur Ross to take whatever administrative action he can to lift the stay on shrimp imports under the SIMP program. That initiative has been led by Louisiana Senator Bill Cassidy (R-LA); yet another staunch defender of the shrimp industry. As was reported in a previous SSA News Alert, the second of two letters championed by Senator Cassidy was sent to Secretary Ross by eleven powerful U.S. Senators in April. 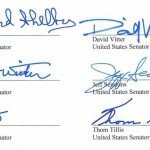 Yet another similar letter was sent by Senator Bill Neslon (D-FL) to Secretary Ross in May. 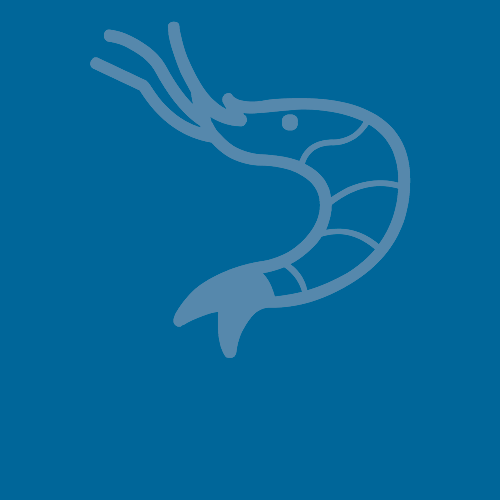 “As I’ve said many times before, SSA is convinced that the seafood import traceability program is among the most promising tools for combatting widespread fraud in the shrimp import supply chain, the continued use of dangerous antibiotics on foreign shrimp farms, and the well-documented incidences of IUU fishing, human trafficking and other labor abuses in foreign shrimp industries.”, added Williams, “We know just how blessed we are that the Senators like Senators Cochran and Shelby and others who know and understand our industry, as well as Secretary Ross and other key Administration officials, are committed to a strong trade policy that will protect U.S. consumers and our industry from these illegal, costly and disgraceful practices”.